"I was a unicorn before it was cool. 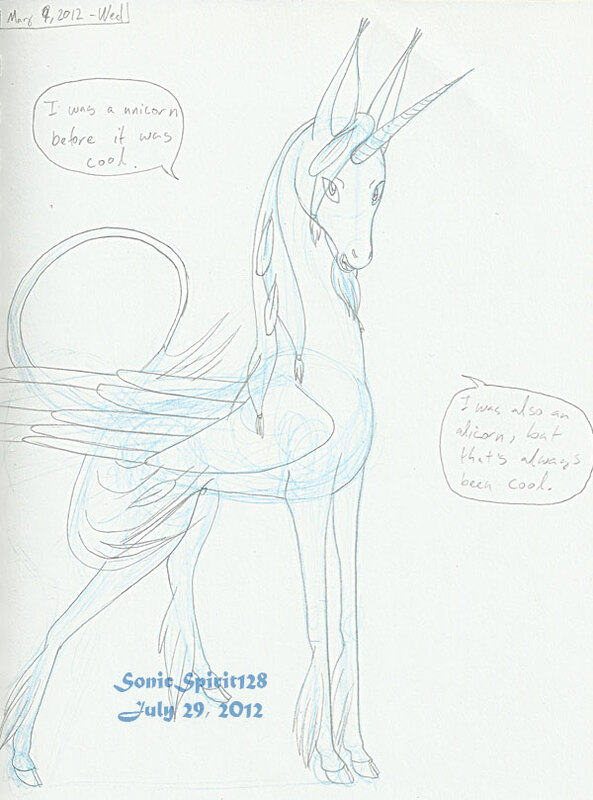 "I was also an alicorn, but that's always been cool." ^_^ It's true, dudes. So much cool. Did acuz of all the ponies. I love the ponies! I love all the ponies! But I totally was afore it was cool. I'm a hipster like that.